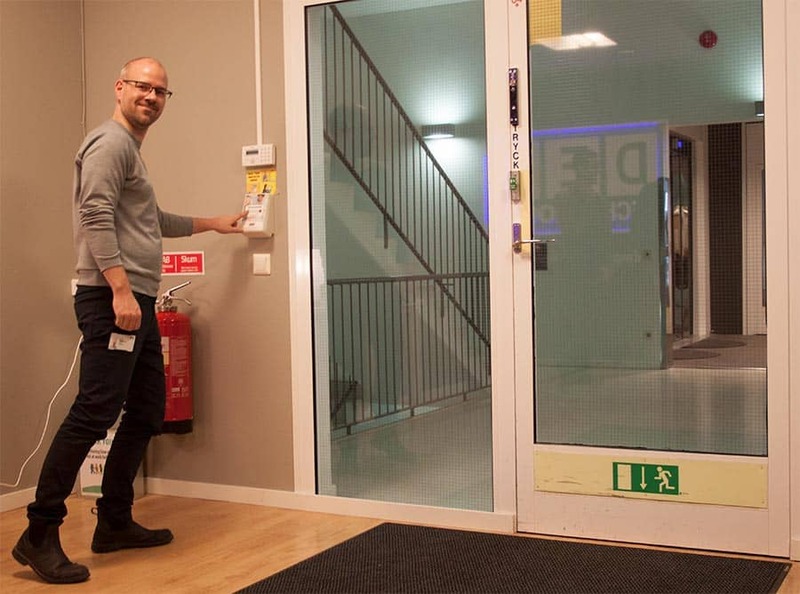 Employees give anonymous feedback leaving work. The lights show the team’s daily results after pressing, for transparency. Most leaders install themselves in 3-10 minutes. 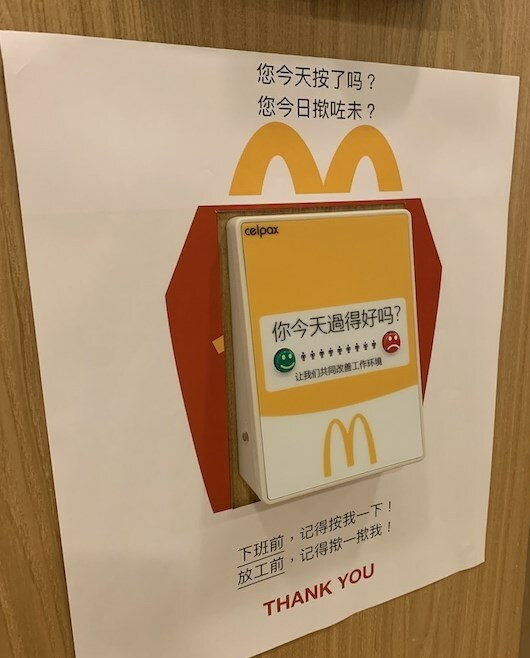 Just press it on the wall and you’re ready. No need to involve your IT-dept (yes, for real). And hey, our software filter detects if someone presses twice. Customize it! Use your company image and branding. Use any language for the question “How was your day?”. When trying to fix the problems at your workplace… how do you know that the changes you make are effective? Unless you know how big the problem was before the problem started, it will be tricky. You need a baseline measurement. 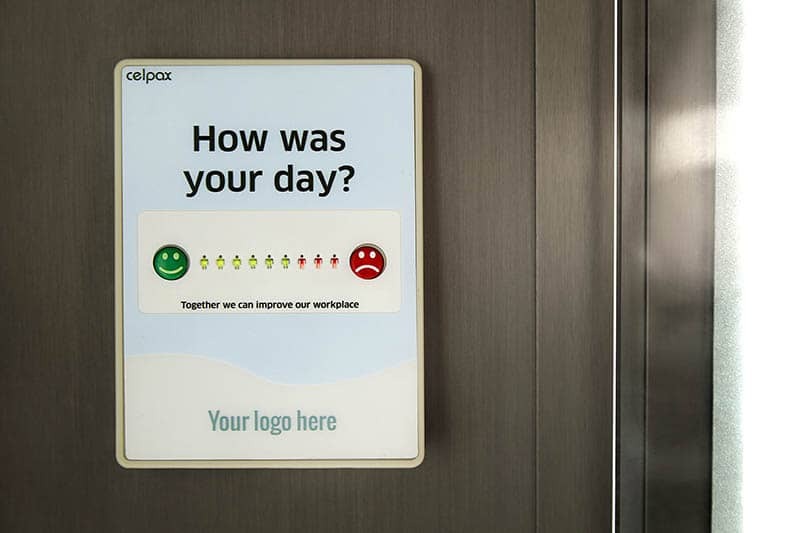 The Celpax gives you a baseline of how your employees feel at work (“75% press green on a normal day”). Let’s say that you used our recommended techniques to identify challenges/problems at work (aka stuff that makes people press red). You can easily see if there was an impact after you implement your change/event etc the next day, and over time, so you know whether or not your intervention is working. Did the free coffee in the break room bring up the Employee Mood KPI? Is the mood higher on the days you organize social activities? Or All-Staff meetings? Or yoga? Or Safety Trainings? Let our happy at work survey show the way and get an index of job satisfaction. Are you making a permanent change in your organization or does too much depend on you? Start a movement with strong leaders to make people grow – at all levels. A People KPI to be discussed at management meetings and operational meetings. Get high-level people data. Analyze trends to see where followup is needed. Verify the impact of high-level strategies, decisions and communications. Know where you have strong leaders. Make sure they see a clear future path in your organization. Succession planning: Is one shift leader outperforming the rest? Make him or her the next factory manager. No great leaders have achieved a lot without their team. Are your people with you? Are they more behind you now than 2 months ago? Do they have your back? A people tool for managers in the day-to-day, without the complexity of long-term surveys or appraisals. You’ll know how your people feel today, which is what you need from an operations point of view. What makes your people press green? And red? An easy way to talk about “hard” issues, in a neutral way. Crosscheck with productivity, quality and other KPI’s you monitor. Make a list of what makes your team press red. Decide what to fix first, together with your team. How do you roll out a healthy attitude among all employees without having to deal with it directly? Activate your people with the Celpax! 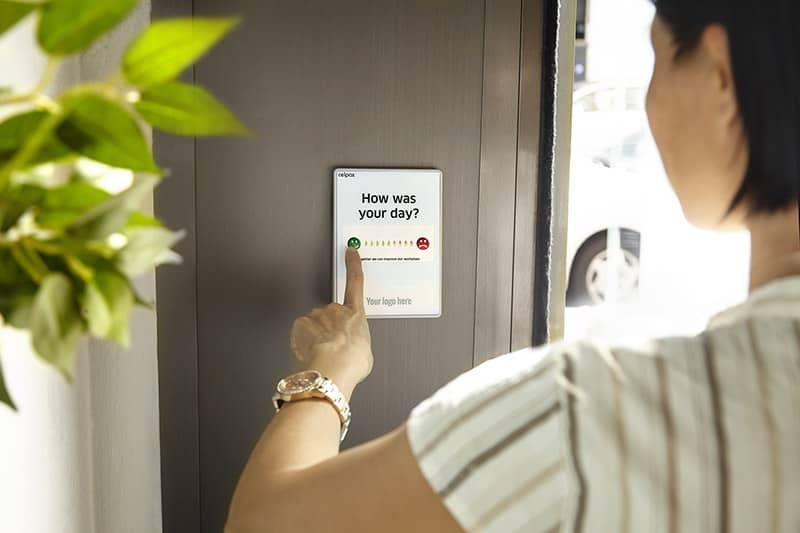 The Celpax device is about taking morale to the front line managers instead of HR. As HR you can help with engaging people at work. But when it comes to communicating and in the day-to-day, the operational part is fundamental. We offload the workload for HR and distribute it among managers. A simple tool to empower your middle managers! Ensure that you can give your business the support it needs. An easy way for you to know how thing are going between your managers and employees. 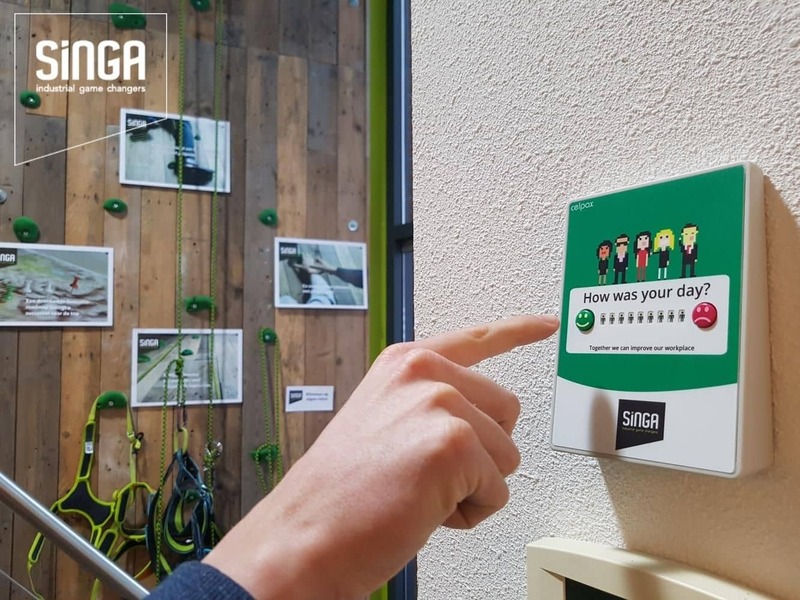 Get data and reports (by departments, shift, office location, etc) to make sure your leaders are complying with their responsibilities – to be “good” managers to your people. Do your managers comply with your HR processes? Data-driven facilitation: If leaders are struggling – know when to reach out to offer your help. i.e. if your baseline is 70% green, arrange for a chat with HR or other leaders when it drops below 60% green. Know which leaders are doing great work to plan for promotions, bonuses, etc. 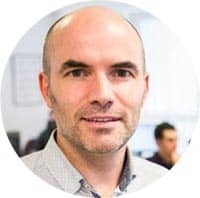 What do leaders with a high Mood KPI do? Spread their knowledge to those struggling. Cross check with HR KPI’s like absenteeism, staff turnover, attrition, sick days, etc. Shortcut to present powerful data to actively participate in board room discussions. Back your arguments with data. The fun part is to act on employee surveys!